Is Santa Allowed in Your Home? There seems to be so much talk these days among young parents as to what they should tell their kids about Santa. I grew up believing, until I had a larger knowledge. My wife grew up believing and I think she still does! Our kids came along and we would talk about Santa, make cookies as a family to set out for Santa, and made sure the fireplace was open. Now, both have “matured”, but the bell stings rings for them both I think. Every year the kids get up see what is under the tree and from whom. Every year we sit down on Christmas morning and read the real story of Christmas from Luke 2. Every year. We love it. Santa is generous. What a beautiful expression. Here, in our fantasy land and imagination, we find a picture of generosity that will usher in the greatest giver and gift to be given! Santa is not God. Santa is not even a god. He is a transitional element to help the littlest who cannot think abstractly experience giving concretely. Santa has boundaries. Everyone knows that Santa knows who is naughty and nice. Those who want the gifts needs to act properly or risk less gifts. God initiates the life/death, blessing/cursing in Deuteronomy through Moses. The people did not earn their covenant, but they did earn their blessings. You don’t earn your salvation, but you do earn the blessings afterward. Santa helps us understand the boundaries of real life. Santa expresses forgiveness. Every child soon realizes that even if they aren’t really that good, Santa comes through. He forgives and gives gifts to those deserving and undeserving. Our Heavenly Father has provided forgiveness through Jesus Christ’s death, burial, and resurrection for those who are bad and “good”. Santa expresses kindness. Nickolas was a kind man. Spreading love, good-will, and faith is one of the kindest things one can do. The spirit behind the story reveals character that our culture needs. Santa is fun. I often wonder why we just can’t have fun and be a follower of Jesus. I have known many young people who are fun people until they walk through the doors of the church. Then they take on a different personality. They become serious and sullen. Let’s enjoy life! Santa represents many things, not the least of which is the enjoyment of life. Today’s media and business culture have taken the spirit and example of Santa and turned it into a cash cow. Humanity has a way of doing this. God gave people freedom and they built a tower of pride in Genesis 11. That doesn’t make the freedom wrong. God gave Israel a land flowing with milk and honey and they turned it into something wild and chaotic, but that doesn’t make the land wrong. God gave us the cross and we have made it jewelry and fodder for tattoos, but that does not make the cross wrong. 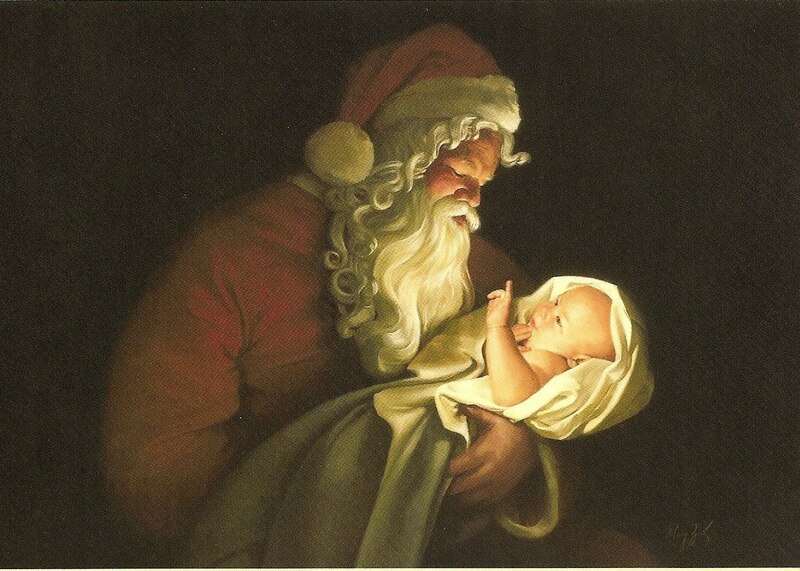 We have an example in Santa of generosity, accountability, forgiveness and kindness. Our culture has twisted it, but it doesn’t make Santa wrong. Santa is not real. Saint Nick is dead. Yet, we need Santa. Our kids need Santa. Help them to see the good and let that parlay into spiritual guidance and discussions.